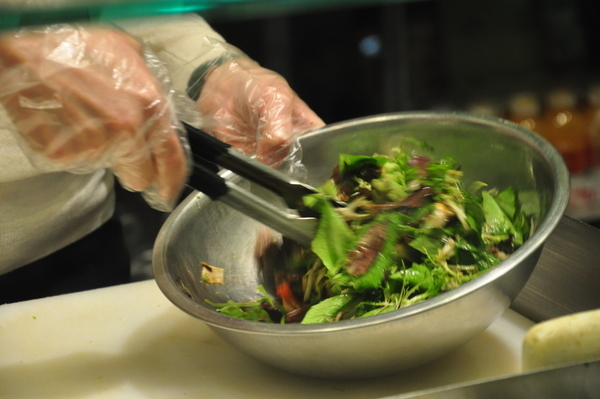 The best thing’s how they toss and chop the salad. Everything to mix the flavours and you can’t leave the boring green leaves aside. Gold Street) Try the Buffalo Chicken but swap the cellery to apples, Much better! Chipotle has good salads and many people like Crisp but I think the mix of hummus AND cilantro pesto AND avocado was a bit too much. You can probably find better combinations though and the falafel is always very good! And besides the bigger chains, you can find “make your own salad” everywhere. You normally pick 1 meat and 4 vegetables and then they toss it for you. Salads in Europe are unfortunately often created as a side order or a smaller main as they are “aimed at people on diet”. Time to mock the American salads and ditch the British sandwiches and I can promise we’ll all start a healthier lifestyle.